Tonight! #NYE2016 Twelve NYE 2016 at a Private Mansion Estate ~ Phresh Hott New! 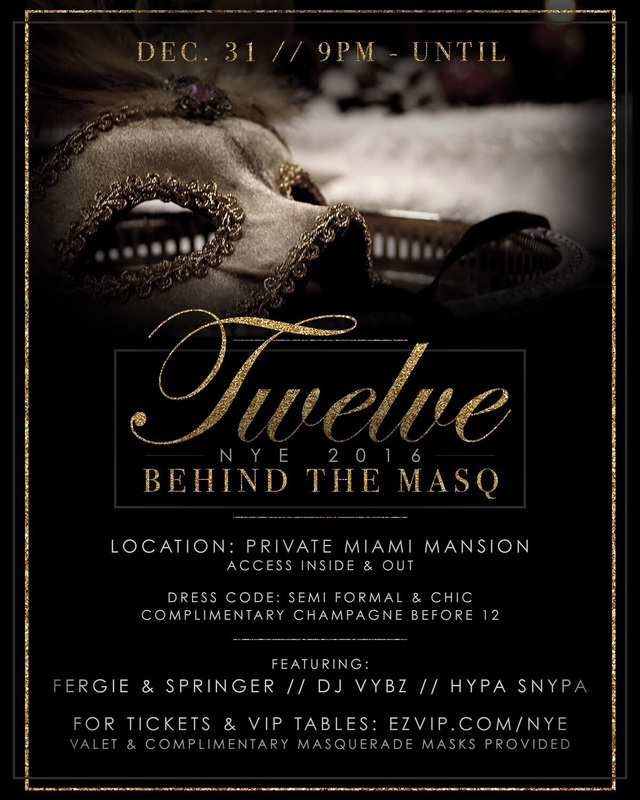 Twelve NYE 2016 Masquerade Ball at a Private Mansion Estate….. Event Details: The ambiance of the night beckons as soon as guests arrive at valet, where a lush, sanctioned red carpet entrance awaits. Once through the massive estate gates, photographers will capture party goers in front of a 20 ft red step and repeat. Upon entry, Miami’s most beautiful models will greet guest as they serve complimentary champagne. While being amazed at fire breathers performance at the red carpet Along with a showcase of the newest in high end luxury vehicles. Creating a sensory theme around the concept of Twelve NYE is critical. To do so, special attention will be given to the awakening of each guest’s subconscious through visually stimulating elements and décor components. "Twelve" is a culmination of that vision. The evening will showcase unexpected surprises, illusions that will create openness to new beginnings and ideas.